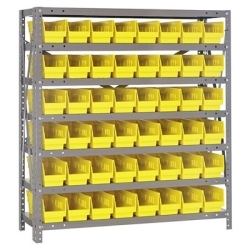 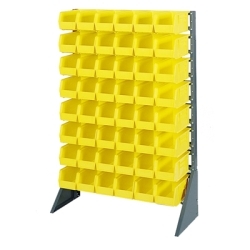 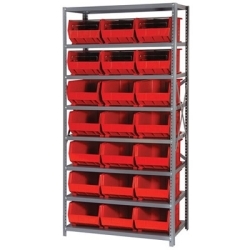 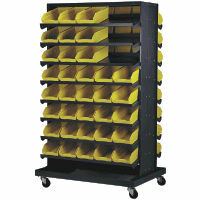 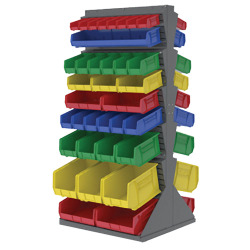 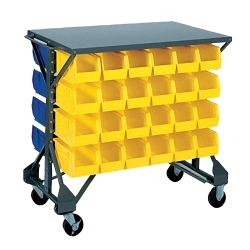 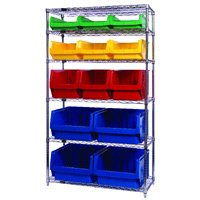 Akro-Mils® Stationary Rack, Storage Bins & Mobile Kit | U.S. 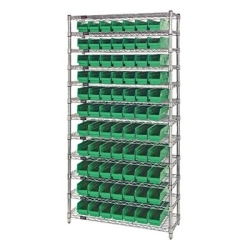 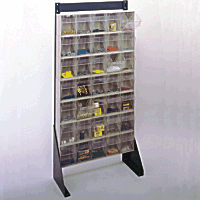 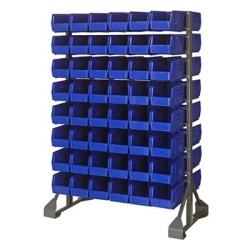 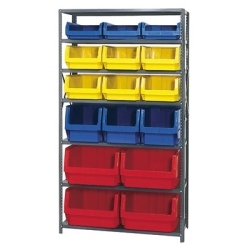 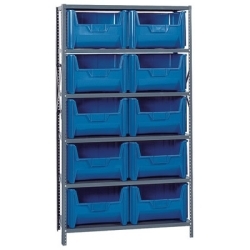 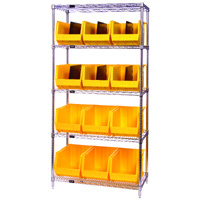 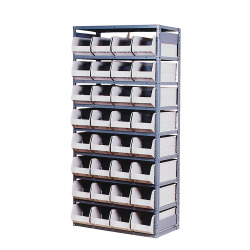 Plastic Corp.
You will find many uses for these very handy and very economical bins and racks that allow for fast and easy organization and parts retrieval. 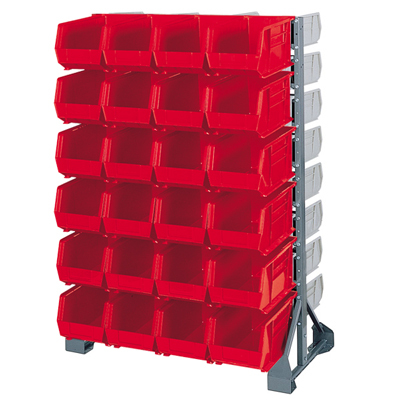 The mobile kit which includes reinforcing braces, handle and 4" polyolefin wheel casters (rear caster locks to prevent rolling) can be added to the 53959 rack to make it mobile.